This practical our workshop is a great way to update and refresh your skills, revisit particular aspects of the scheme and provide an opportunity to exchange and share good practice under the supervision of an approved course director. Meet at the outside edge Cafe in Hathersage at 0930 and then we will go to either Stanage edge or Burbage North for the day. Please bring your personal climbing kit with you and wear appropriate clothing for the activity. 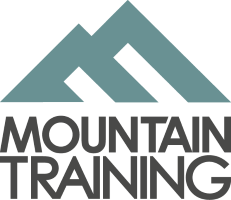 All bridging the gap workshops are run by approved Mountain Training course directors of the SPA and now RCI schemes. This particular workshop will be hosted by Dan Mckinlay.